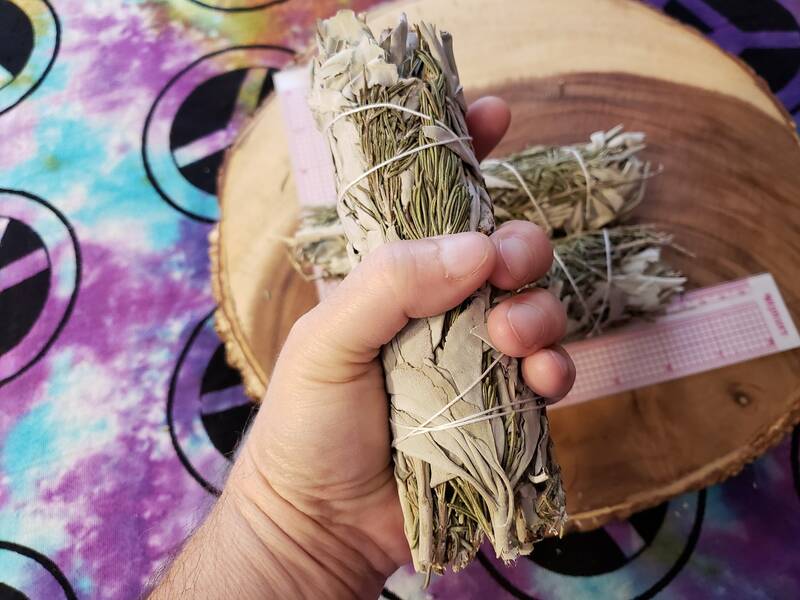 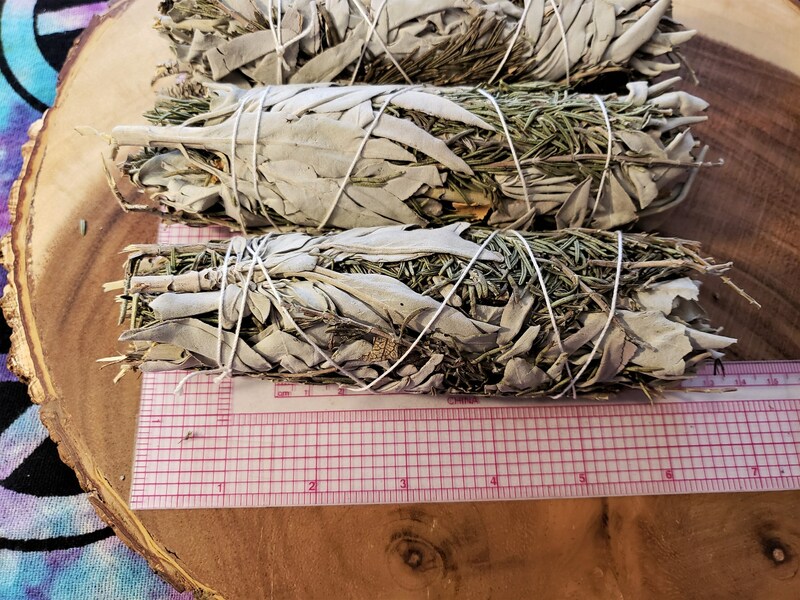 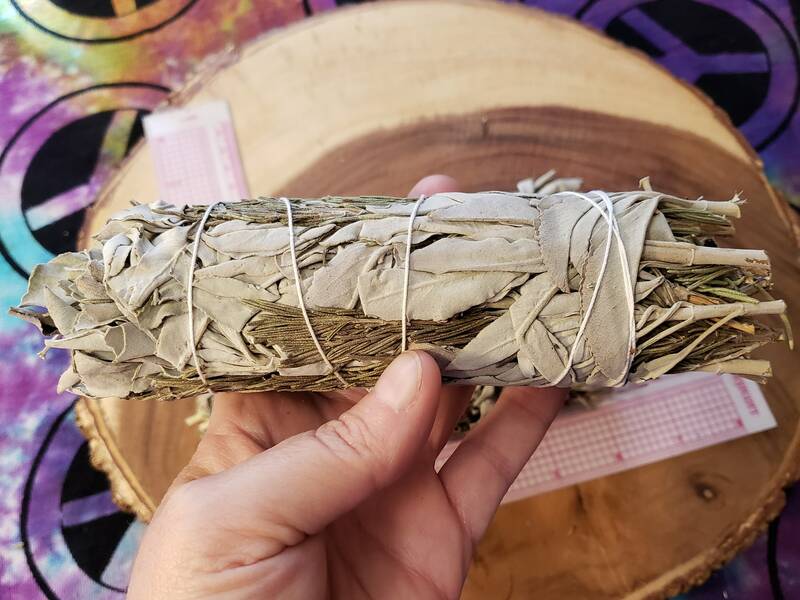 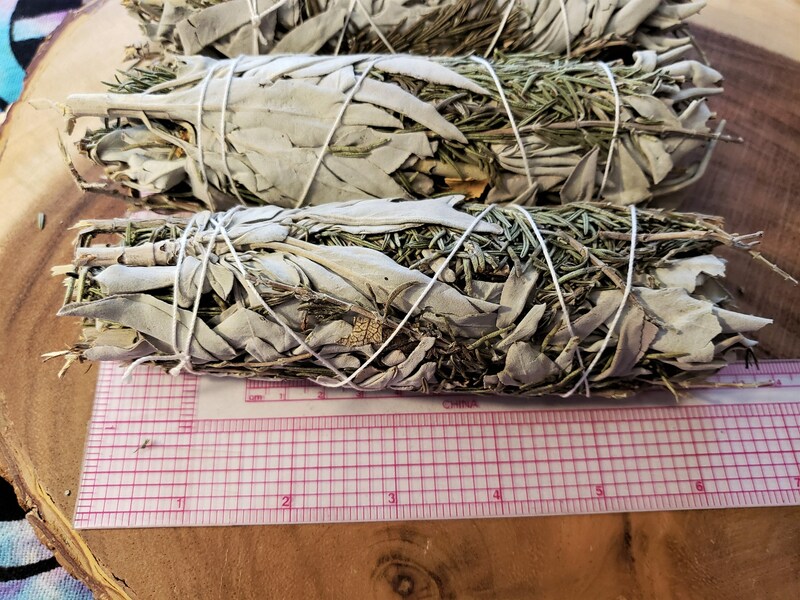 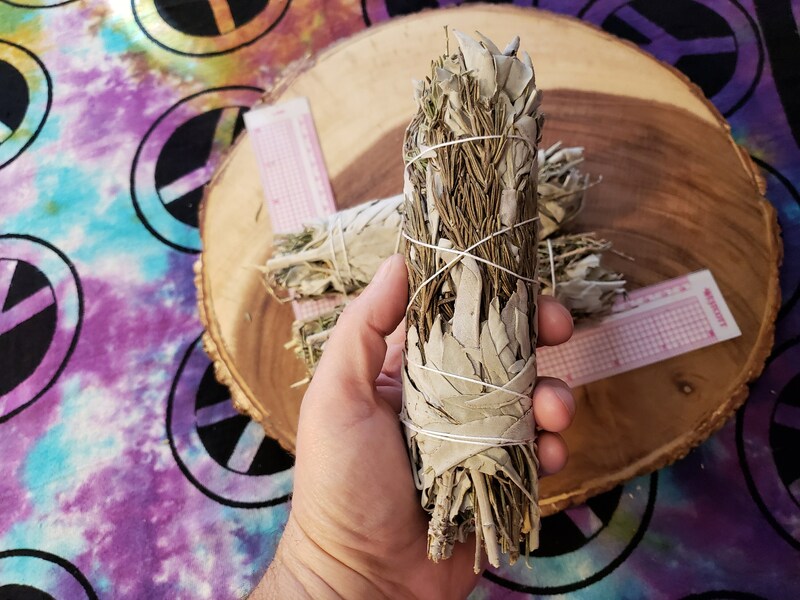 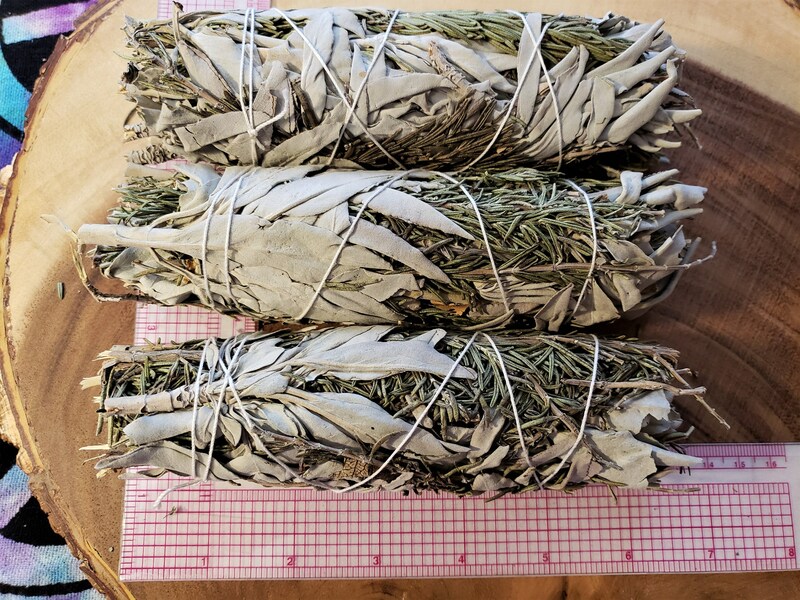 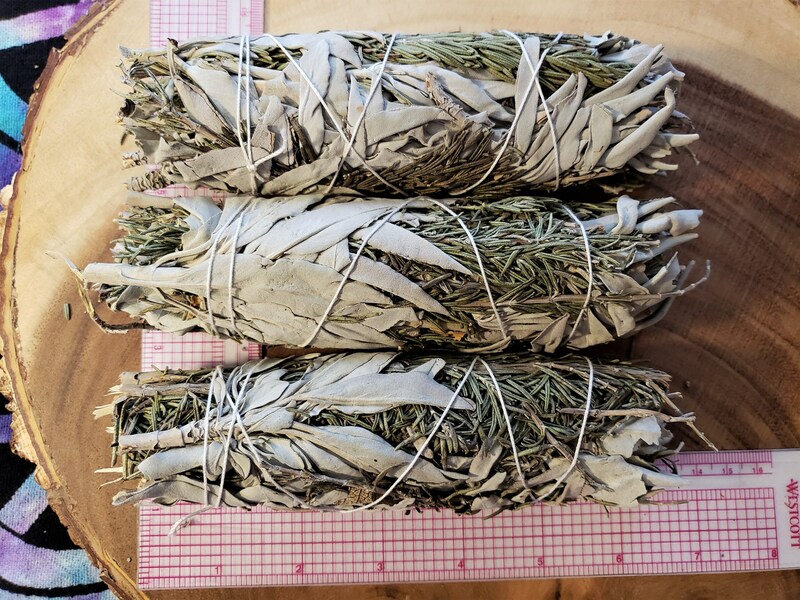 White Sage & Rosemary ~ Salvia Apiana & Rosmarinus Officinalis ~ Used for all cleansing and purification rituals, spell reversals, and clears negativity & hate. 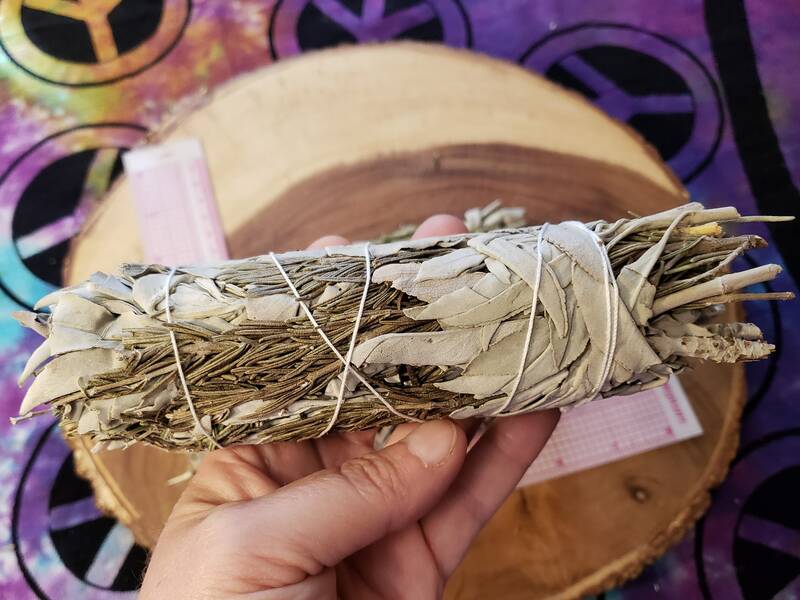 Brings wealth, health, prosperity, love, and healing to your life. 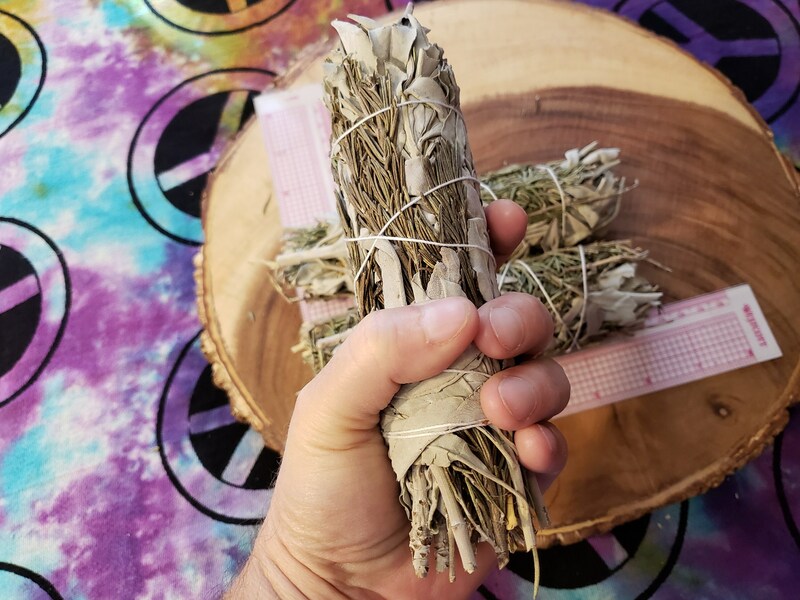 Raises the energy in my space. 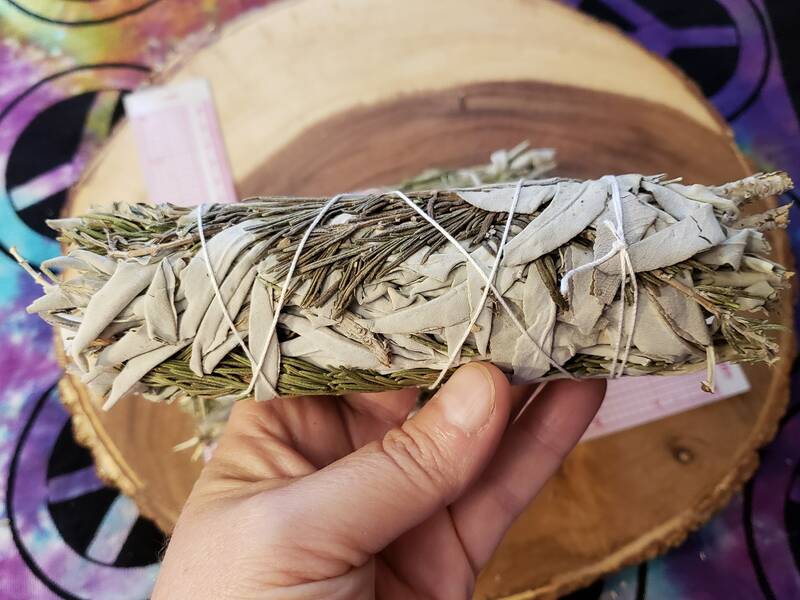 Wonderful addition.